How I came to be a writer. I longed to become a writer but this was considered rather an exotic ambition so my parents encouraged me to get an education first. No one in my family had ever stayed on for further education before, so I was elected to blaze the trail. I qualified as a primary teacher and worked for a number of years. I married in 1969 and a few years later we moved to the Lake District with our two daughters. I then ran a bookshop for ten years and secretly wrote late in the night. Later, when I sold my bookshop, I tried anything and everything. Short stories, serials, a children’s novel, picture scripts and a few Mills & Boon contemporaries, although I gained more rejection slips than cheques. The aim was to send material out faster than it came back, which wasn’t easy. We had a brilliant postal service and all the rejections would come bouncing back with remarkable speed. But at last the day came when I sold my first short story to D.C.Thompson. It was a red letter day indeed. That was also the name of the magazine, now defunct. Following this breakthrough I seemed to develop the knack for I went on to sell many more stories. With renewed confidence I tried again for Mills & Boon, this time with a historical, Madeiran Legacy, which was accepted. I wrote five historical romances as Marion Carr for Mills & Boon which greatly taught me my craft. Only later did I have sufficient confidence to try for the mainstream fiction market, selling my first saga, Luckpenny Land, to Hodder & Stoughton in 1993 on a three book contract. I was fortunate back in 2010 to get the rights of many of my backlist reverted from a couple of publishers. Hearing about ebooks in the US I set out to learn how to produce them, finally achieved that and regularly self-published some. Sales began quite slowly, which didn’t trouble me as I was also writing for another publisher. But once Kindles arrived in the UK in Christmas 2011, I must say my sales shot up surprisingly well and I was amazed by my success. As a consequence in 2013, I was contacted by Amazon Lake Union for an interview, then later offered a contract by them. My first book with them, The Amber Keeper, soon sold over a hundred thousand, and has now sold more. Such a thrill. Selling ebooks is now much higher for me than print books. My second book was Forgotten Women, which is also doing quite well. 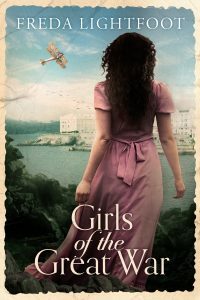 Now comes publication of Girls of the Great War, which I loved writing too. This book was such fun to write, if sad and heartbreaking when Cecily lost the love of her life. She was concerned for herself, and also for her sister Merryn, who was engrossed with a young man Cecily did not approve of. He was not an easy young man. Later that afternoon Merryn eagerly hurried over to the Palace Theatre just a short distance away. The young drummer was fully engaged in rehearsal, the bandleader constantly hammering his baton to stop the musicians playing while he issued more instructions to them. She knew she would have to wait a while before he was free, so taking a seat she watched him. He was a cheerful young man with reddish hair, soft grey eyes that were constantly alight behind his spectacles, a slightly gap-toothed smile and a chiselled chin. Being a bit of a joker, Johnny Wilcox was great fun. When finally he was allowed a break, Merryn offered to buy him an afternoon tea at a nearby café. ‘There’s something I’d like to discuss with you over a little tiffin,’ she said with a smile. ‘That sounds good,’ he grinned, his expression filled with curiosity. As they sat enjoying tea and biscuits, Merryn told him of her sister’s plan to create a small concert party and entertain the troops in France. Merryn rolled her eyes in amusement, having no belief in her own looks. She saw herself as quite plain, a little too round and simply practical, interested mainly in fashion, sewing, make-up and hairstyles. Cecily had always been the pretty one with talent and plenty of young men falling for her, whereas she’d never found a boy who really took a shine to her. Merryn adored her sister and felt quite proud of her famous mother too, readily willing to deal with Queenie’s problems. His next words startled her out of those thoughts. ‘Can I give you a little kiss of thanks,’ Johnny murmured. ‘I’m not sure that would be a good idea,’ she stuttered. He was a most pleasant young man, if a little flirtatious. ‘I must confess that I’ve always felt the need for more closeness between us.’ Taking hold of her hand he gave it a gentle little kiss. 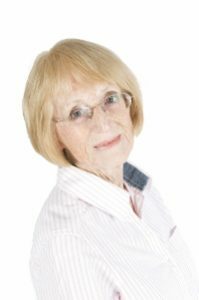 One Response to "How I Came to be a Writer – Guest Post by Freda Lightfoot (@fredalightfoot) #giveaway"
I enjoy the settings and the beautiful language used.